5% Off for SimpleConsign Users! 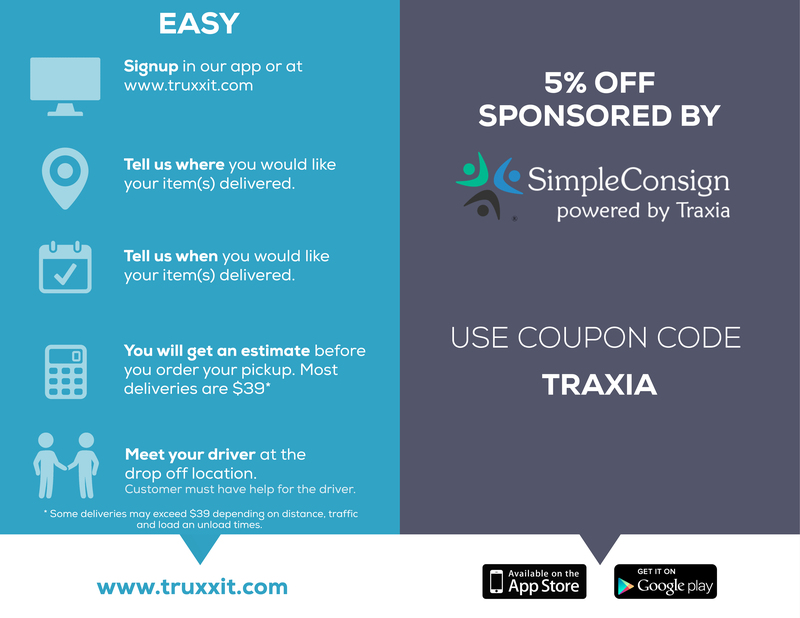 Truxx is a crowd-sourced, ride-sharing app that connects truck owners with people who need things moved. Each driver goes through a criminal and DMV background check and their ratings and reviews systems ensures only the best drivers are on the road hauling your products. 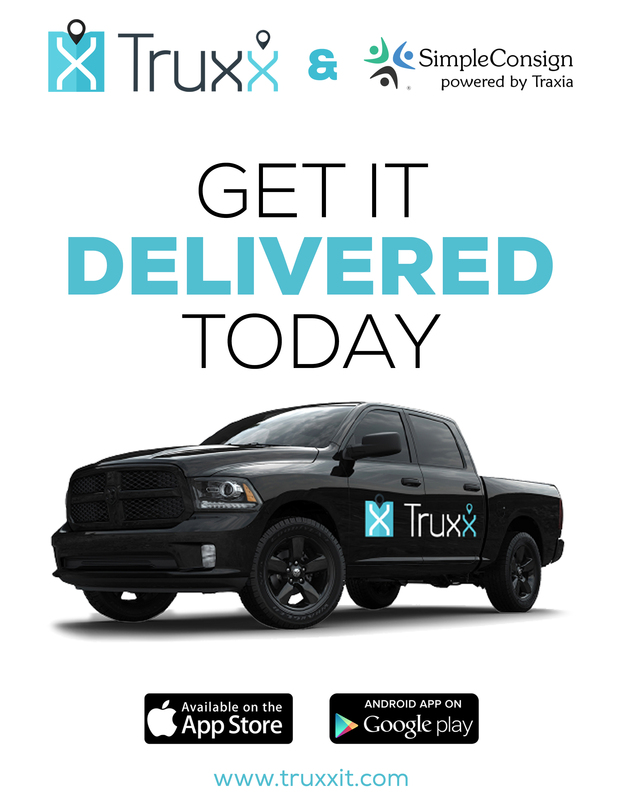 Using Truxx’s slickly designed mobile app, you will be able to arrange same day delivery for your customers at a fraction of the typical cost. Choose when and where your items will be picked up and delivered.